Whenever you crave for a pickle that involves no frying or grinding, then try this pickle. I used green American cucumber for this pickle. This is so easy to prepare with easily available ingredients. Wash the cucumber well and wipe off with a paper towel. There should be no moisture as this pickle tends to attract mold if wet. Then peel its skin and chop into fine pieces. Transfer these pieces to a dry bowl. Add all the rest of the ingredients to these pieces and mix well with a clean spoon or spatula. Leave it covered for 30 minutes so that all the ingredients blend well. That’s it! The yummy cucumber pickle is ready to be eaten. 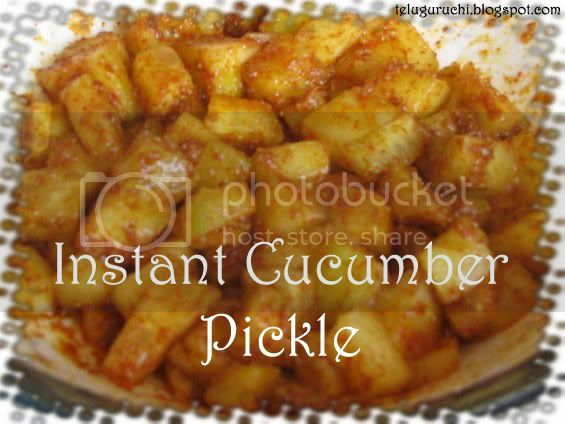 Enjoy this pickle with steaming hot rice. This pickle can be stored in the refrigerator for 2-3 days. Never leave it outside when not using. Sending this yummy pickle to Sunshinemom's "FCI: Brown" event. You know,in salem(tamil nadu)we get cucumber cut into four halves and they will sprinkle this sambar powder,red chilli powder and salt. We love so much!! The ingredients are similar,i am sure this tastes great! Easy n hot pickles with simple ingredients, should try...thanks for sharing such an awesome pickles Uma..am really craving for pickles.. I always slice them and add the ingredients u mentioned and eat them. Great idea to convert that into a pickle. Wow this is something new and looks awesome. Simple and easy too. pickle looks spicy and also it must be crunchy to eat na. Good one Uma.. Awesome. Easy and simple. Now I dont have to worry about not finding Dosakaya for the pickle. loved this pickle. Will try soon. I am so making this today... I have some sliced cucumber from salad yesterday, will chunk them up and make a pickle. Awesome idea Uma. 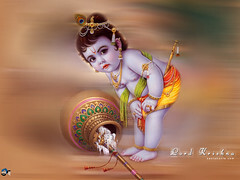 now a days u r posting a lot of pickles uma...wat spl? any I am off to chaitus blog to hear her sing! He he another one to add up in my try out pickle list, may be I can try today! Quick and delish Uma! 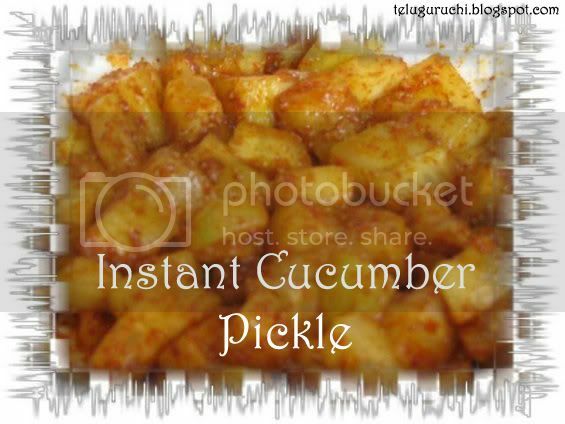 Super easy.. never ever imagined to make a pickle out of cucumber.. will bookmark it! Easy one Uma..When I saw the picture I thought it resembled potato fry..
Wow, instant pickle is always welcome..I am goin to try this rite today and will let u know.. Very nice cucumber pickely, looked like a deep fried curry for a moment. Very cute to hear your daughter sing. Tempting me with ur pickels and thovayals Uma..So easy to make..
New to me .Will try it out. Nice color to the pickle. good one yaar..have to try this out!! Never knew of this, tks for the recipe. Looks delicious, Uma! Would love to see it on FIC! 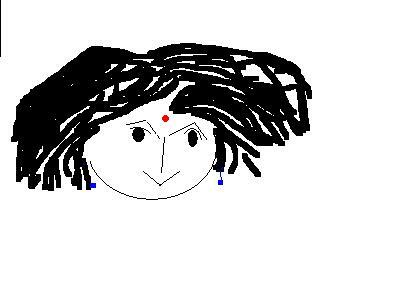 Dear Uma..i got something spl in my blog for u..pls check it..
Hey Uma, I made it yest and we absolutely liked it. So quick for a pickle. Thanx for an innovative and nice recipe.. This is a very cool pickle. Looks so good. Mouthwatering one. YUM! Very nice and interesting pickle recipe. Generally dont make pickles at home but will surely try this one. Totally new to me! looks great! u have so many pickle recipes..!